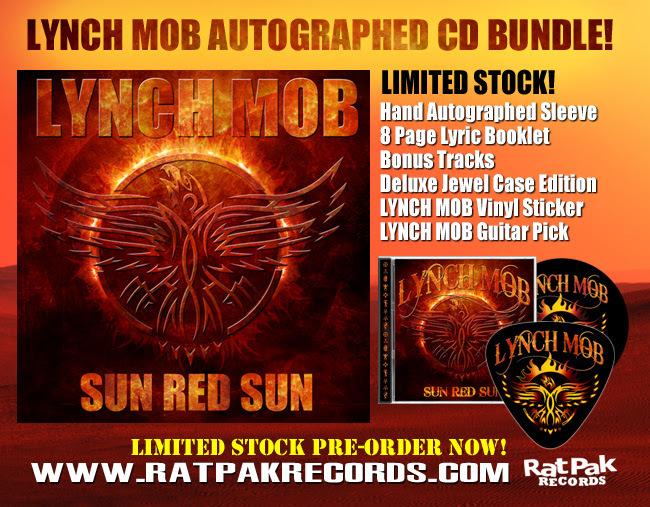 Lynch Mob “Sun Red Sun” is the bands 11th release and was written and recorded by the same line up as the “Sound Mountain Sessions” EP (Lynch/Logan/Crane/Coogan). 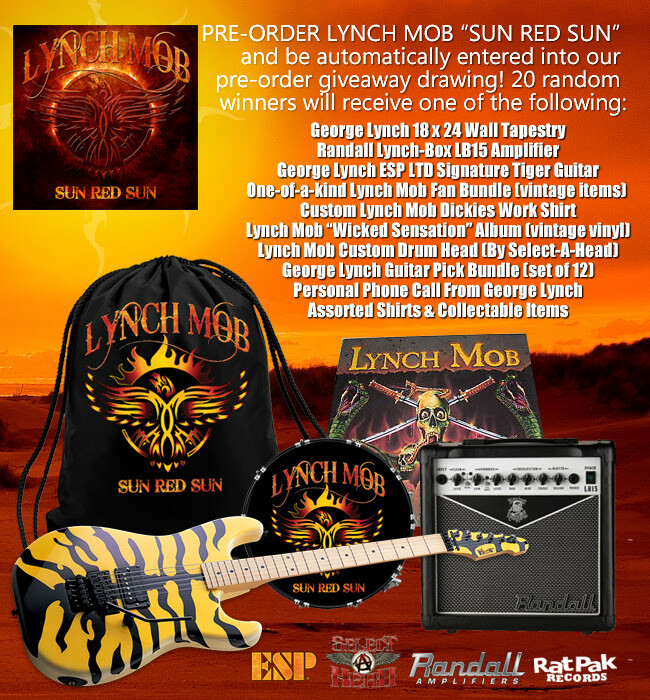 “Sun Red Sun” once again highlights the unique pairing of Oni Logan & George Lynch and showcases their ever evolving songwriting abilities. Mixed & mastered by Chris “The Wizard” Collier” (Lynch Mob/Lita Ford/KXM), “Sun Red Sun” offers up straight forward rockers like “Believers of the Day” and “Play The Game”, as well as more groove-oriented cuts like “Erotika” and “Subliminal Dream”. 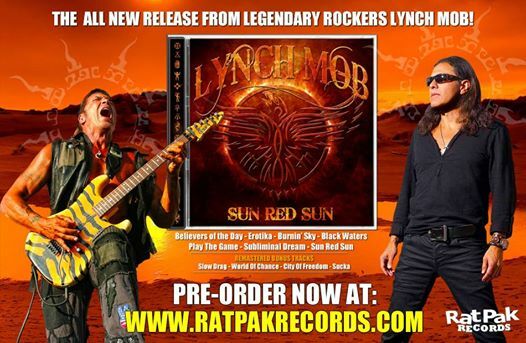 The CD also features a dynamic George Lynch guitar solo track called “Black Waters” as well as an acoustic ballad called “Sun Red Sun”, which is a tribute to the late great Badlands singer Ray Gillen. The release also features a cover of Bad Company’s “Burnin’ Sky” and includes four re-mastered bonus tracks from the original Sound Mountain Sessions EP: “Slow Drag”, “World of Chance”, “City of Freedom” and “Sucka”! Official release date is Tuesday December 9th, 2014. 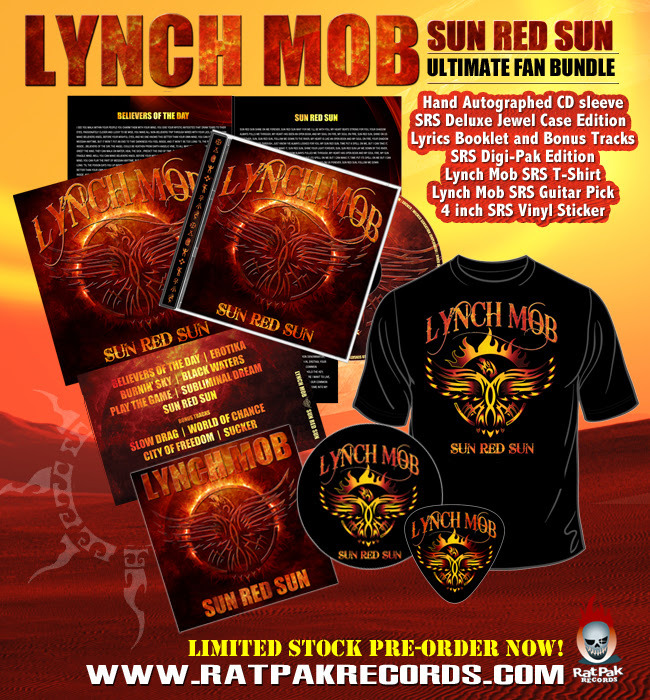 This entry was posted on October 31, 2014 at 8:30 pm and is filed under classic rock, Hard Rock, Metal, Music, music news, rock music, rock music news with tags classic rock, george lynch, hard rock albums 2014, lynch mob, metal albums 2014, metal odyssey. You can follow any responses to this entry through the RSS 2.0 feed. You can leave a response, or trackback from your own site. Love Lynch’s playing! Gonna have to check this one out!